I'm not sure what I was expecting to get from this book, and I had low expectations, but it ended up being underwhelming. Too much happened too fast in the end of this book, it seemed like the author was trying to tie up everything before the book got to 400 pages. The characters in this book honestly annoyed me so much and basically had no actual emotions or feeling. I had no interest whatsoever for the characters and what happened to them. It seemed like the author was trying to get every single minority for a character into this book, which I don't mind, if it's done well. It was hard for me to picture the characters and the scenes in this book. It felt like it wasn't painting a vivid picture of what was going on. Goblins.......also annoyed me, they didn't really add much to the book except that they were helping and them they were gone? 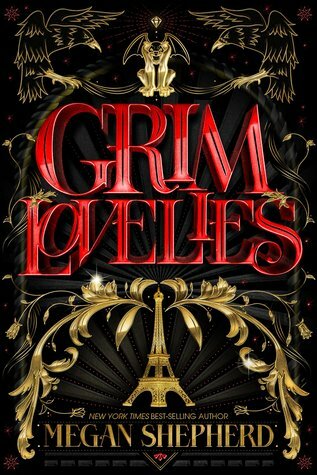 The Paris setting was one of the few things I did love about this book. Especially when Anouk was looking out at the Eiffel Tower.